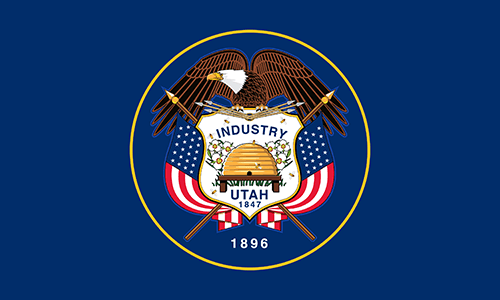 With a 2017 unemployment rate of 3.1% (below the nation’s rate of 4.7%), Utah continues to move in the right direction.3 So where does the need for bad credit loans, such as payday loans and title loans come into play? This might be in part to the higher than average cost of living in Utah. To make ends meet, Utah residents may find themselves trapped in an endless cycle of debt caused by title loans and payday loans—options residents should avoid. According to the Center for Responsible Lending, the average payday loan amount in Utah was $346 as of 2013, which might not seem like a lot.6 However, if you add on an APR that has no cap, you can expect to be paying back a considerable amount more than the initial loan amount. The new bills aimed to restrict anyone from having more than two payday loans outstanding at a time.8 It also capped the number of loans a borrower could withdraw at ten per year and the volume of loan principal at no more than 25 percent of the borrower’s monthly income at any given time.8 Both bills failed. Payday loans are codified in Utah under the Utah Code Ann. 7-23-101, the Check Cashing and Deferred Deposit Lending Registration Act.11 This law provides payday lenders must follow to provide payday loans to residents of Utah. Loan Term:The deferred deposit loan may not be rolled over beyond 10 weeks after the day on which the deposit loan is executed. Rollovers Permitted:None specified, but cannot extend or renew a loan more than 10 weeks from original loan date. Payday loans in Utah far exceed the number of Subway, McDonald’s, Burger King and Wendy’s restaurants in the state combined—that’s something to worry about. While Utah lawmakers continue to fight for improvements in regulations for payday loans, lenders continue to fight back or find ways around regulations. The payday loan battle in Utah is far from over. Utah doesn’t seem to be changing the way they regulate title loans anytime soon. While loan amounts are limited to the value of the car, there is no cap on interest rates a lender may charge. Before taking the dive into title loans in Utah, look for other options. Use payday and title loans in Utah with extreme caution. By educating yourself, you can take necessary steps in avoiding the predatory ways of payday and title loans in Utah. Even if you don’t have protection of interest rate limits, the law still requires lenders to deal with you fairly and honestly. This means lenders must fully inform you about the interest you will pay. However, if you have already fallen prey to title and payday lenders in Utah, there are options available to help. Many lenders are registered to do business in Utah, and have voluntarily adopted a set of principles entitled, “Best Practices”. These principles were created to be consumer friendly. Residents of Utah are encouraged to ask lenders whether it has adopted these “Best Practices”. If a company has adopted these principles, they have demonstrated their commitment to quality consumer relations. However, if a lender has not adopted these principles, it is important to not do business with them—they have not demonstrated their commitment to helping consumers. You can contact the Department of Financial Institutions by calling (801) 538-8830 or the Utah Consumer Lending Association at (801) 328-1888 to learn more about these principles or to file a complaint. Remember to protect yourself and ask questions before committing to a payday or title loan in Utah. In addition to the Utah Department of Financial Institutions, you can also reach out to the >Coalition of Religious Communities (CORC) for further help. The CORC brings together people from 15 different faith communities to educate, organize and build community. Together they work to draw attention to specific poverty issues and give people of faith the opportunity to express support for their low-income neighbors, and that means those affected by predatory lenders in Utah. Take a stand and contact CORC to see what they can do to help raise further awareness, and protect low income residents from further debt. Utah lawmakers continue to reach out and find ways to help protect residents from predatory lenders. While the battle is ongoing, it is worth fighting. The payday loan and title loan industry in Utah isn’t disappearing anytime soon, which means you need to take a stand. Reach out to the Utah Department of Financial Institutions and other organizations to share your concerns—let your lawmakers know you want stricter regulations and rules. Reference this page when you need more information on title loans and payday loans in Utah to protect yourself from predatory lending. You know payday and title loans in Utah are a problem. But what about at the city level?